Giant Squid brought a new trailer for Abzu to E3 2016, but it didn’t get a lot of attention. That’s too bad, because from the trailer, it looks like Abzu is going to be gorgeous, thoughtful, and immersive. 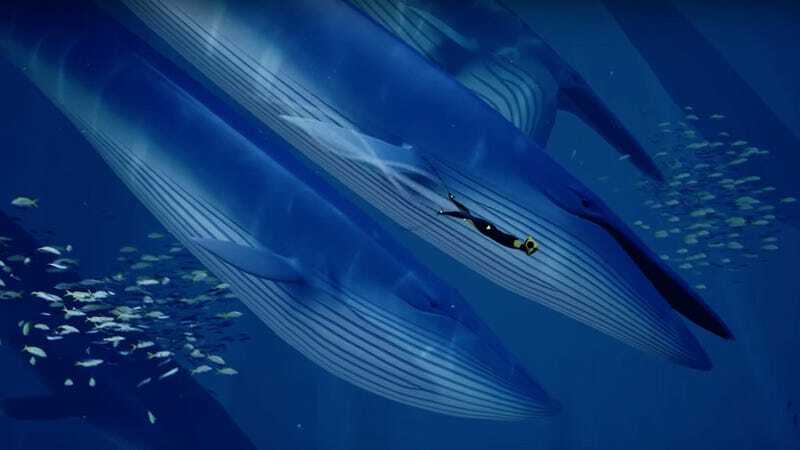 Abzu has been in the works for a while—it first showed up at E3 2014. The trailer opens with your flipper-clad protag diving into very sunny depths. 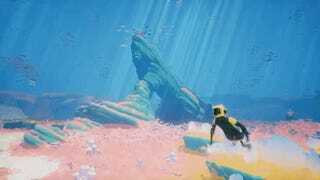 If it feels like Journey but with fish, you’re not wrong: Abzu is the first game developed by Giant Squid, which is led by Matt Nava, the art director behind Journey and Flower. You can jump! Apparently, you’re going to be doing a lot of that. Orcas, dolphins, various kinds of fish—all of these guys want to jump with you. But you’re exploring more than the local flora and fauna. Is that the spaceship from Independence Day? Exploration, wildlife, and, it looks like one of history’s mysteries. It looks like the type of game that’ll draw you in with soothing music and beautiful atmospheres, and keep you going for the mystery you’re sure to solve if you just ride one more shark. Oh yeah, did I mention you get to ride a shark? Abzu is available on August 2 on PS4 and PC. Weekend editor who writes about games two days per week, makes them the other five. Kotaku &apos;Shop Contest: This Is A Job For Torbjorn: The Winners!